A new residence hall will likely be completed by fall 2022 and provide beds for 320 underclassmen, Alicia Knight, the senior associate vice president for operations, said. Four years from now, underclassmen could live in a 10-story building across from University Yard featuring loft-style lounges, community kitchens and retail spaces. 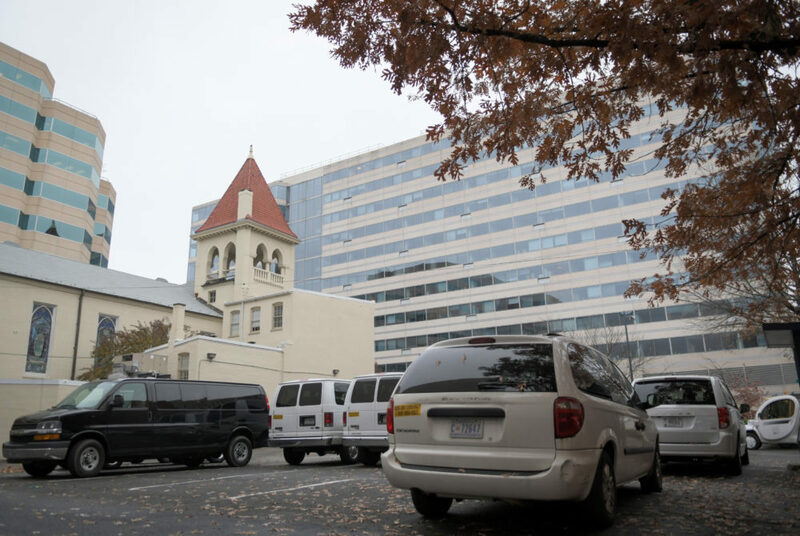 The new building – which will be located on 20th and H streets – will likely be completed by fall 2022 and provide beds for 320 underclassmen, Alicia Knight, the senior associate vice president for operations, said. 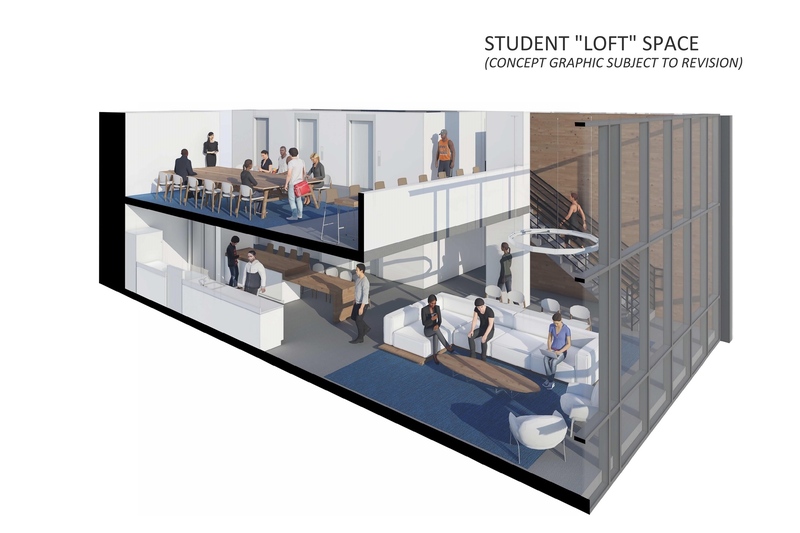 Officials involved in the project said the new building will create “dynamic” community spaces to give students new hangout spots amid an administrative push to revamp the student experience. Knight said the new residence hall will mirror rooms in Potomac House with two bedrooms connected by one bathroom. The University is working with Ayers Saint Gross, the architectural firm that worked on District House, to design the new building, she said. “What has been driving a lot of the conversation around this project has been the student community spaces and how we can work to design something that has some dynamic community spaces that students will be drawn to,” Knight said. The University will use about $100 million to construct the new residence hall and renovate Thurston Hall over the next few years. Knight said the new hall will also feature a food retail space on the ground floor. She said the University has yet to begin the process of selecting vendors because the search process will be dependent on what feedback officials hear from students closer to the start of construction. Knight said the building might include a basement level with a “multipurpose” space, and officials are considering including a second ground level. “We’ve really been focusing on what is the typical residential layout of a floor, what are the community spaces and starting to get student feedback on those so that we can progress the design concurrently to thinking about these things,” Knight said. The final design and budget for the residence hall will be presented to the Board of Trustees in the spring, she said. Pending the approval from the board, Knight said the University will begin the process of acquiring zoning and other necessary building permits. She said she doesn’t know when construction will begin because dates are dependent on a series of University- and citywide approvals. She said several officials and students have been involved in early conversations about the residence hall, including representatives from the provost’s office, the housing department, the operations division and the residential engagement team. Knight added that the architects spent last week on campus speaking with students about the community spaces. Ayers Saint Gross also partnered with the University earlier this year to renovate the first floor of the Marvin Center into a living room space. Jason Wilcoxon, the principal of Ayers Saint Gross, said the company has spent two decades working on a “multitude” of projects with GW, like transforming what was formerly Schenley, Crawford and West End halls into District House. He said the company has already begun “engaging” students on the new project. Residence Hall Association President SJ Matthews said housing officials first presented the building plans to the RHA, resident advisers and faculty at the group’s meeting last Tuesday, where students provided feedback about what the community spaces should look like and what they should include. “Students have this really cool opportunity right now to give input, presuming they probably won’t be here to see it, but they can leave a really tangible impact on this campus by writing their input and feedback now,” Matthews said. James Harnett, a junior and a member of the Foggy Bottom and West End Advisory Neighborhood Commission, said the new residence hall will encourage students to use nearby University Yard, which he said is often underutilized. He said expanding community spaces on campus will ensure that students who do not live in large residence halls are not “missing out” on meeting people and fostering a community. As a commissioner, he said he plans on meeting with student leaders to hear their feedback on the plans for the new residence hall and will meet with officials to advocate for students’ requests. “I think students need to continue to be a part of the conversation about what that space looks like, about the types of food that it offers and how it fits into the bigger pictures of what’s available across campus,” Harnett said.